POWELL RIVER, B.C. – The City of Powell River marked a historic occasion today. 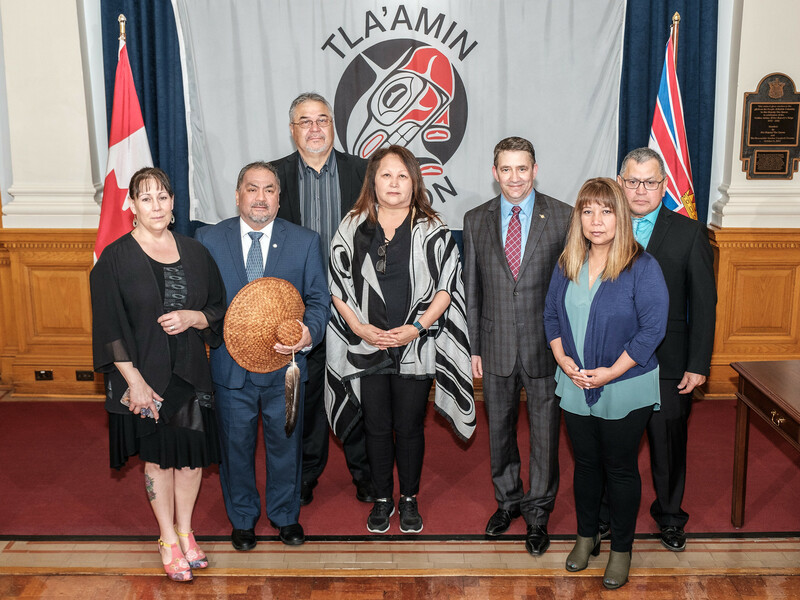 The city celebrated the anniversary of the Tla’amin Nation treaty during a ceremony in Victoria. It was three years ago that the Tla’amin people became self-governing. According to a city release, paramount is respect for and appreciation of each other’s diverse backgrounds. “Our treaty is about building a future for our children so that they can look forward to lives full of opportunity and choice,” said Tla’amin Hegus Clint Williams. “We raise our hands in celebration with our Tla’amin friends and neighbours,” said Powell River Mayor Formosa. The accord documents that all residents of Powell River and Tla’amin trace their origin to societies of different cultural traditions, beliefs and values; residents of the city and members of Tla’amin have created, or have had created on their behalf, distinct local governing institutions, and Powell River; and that Tla’amin deem recognition, understanding and reconciliation the foundation of their communities’ common good. The Tla’amin treaty was the fourth modern treaty to come into effect in British Columbia, leading the nation into a future of self-determination and self-government. 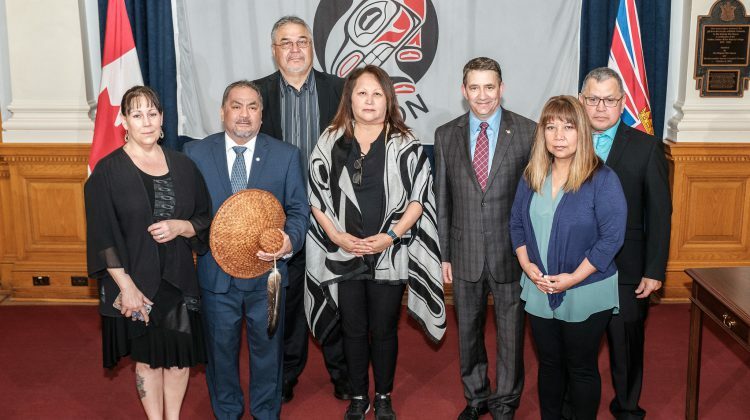 Powell River-Sunshine Coast MLA Nicholas Simons, who attended the ceremony, said he congratulated Williams and legislators as they continue their hard work on implementation of the treaty. “Treaty isn’t the beginning or end of a process, but a framework for strengthening the relationship between communities,” said Simons.